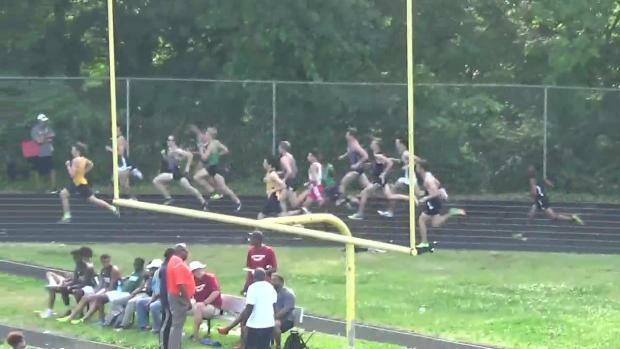 Cameron Ponder threw down at the Music City Distance Carnival last night in Nashville, Tennessee. 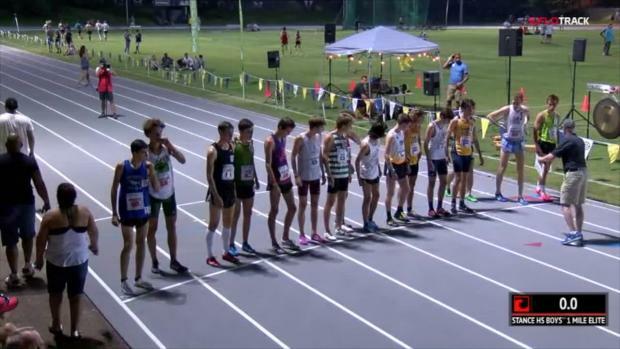 Ponder went up against some of the nations best High School milers in Dalton Hengst and Ryan Lockett. The pacer, Scott Thompson, took the pace out strong right at 60 seconds with Ponder splitting 1:01.35 for the first 400. The field wanted to test how close to 4:00 they could go, and Dalton Hengst lead through the 800 in 2:02.43 with Ponder in 3rd at 2:03.65. Ponder was seeking to run under the Mount Tabor school record of 4:09.73 set by Matt DeBole in 2002. 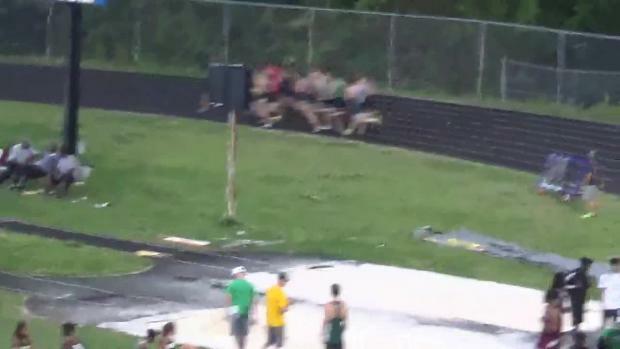 Thompson stepped off the track and it was Hengst leading Lockett and Ponder. They'd sit in that order through the 1200m in 3:04 separated by .5 seconds from 1-3. Down the backstretch Ponder started to make his move pushing from just over 200m to go. Ponder moved ahead of Hengst for the lead, and began to pull away from him. Hengst was still in striking distance if he had anything left, but Ponder powered down the homestretch pulling away from them even more. 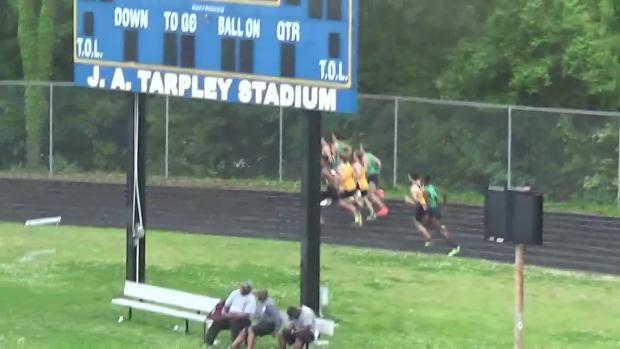 Ponder crossed the line in 4:04.24 for the full Mile, splitting 4:02.72 through the 1600m. This gave Ponder a massive win as he took over the national lead from Brodey Hasty's 4:04.52 from the Prefontaine Classic a few weeks ago. 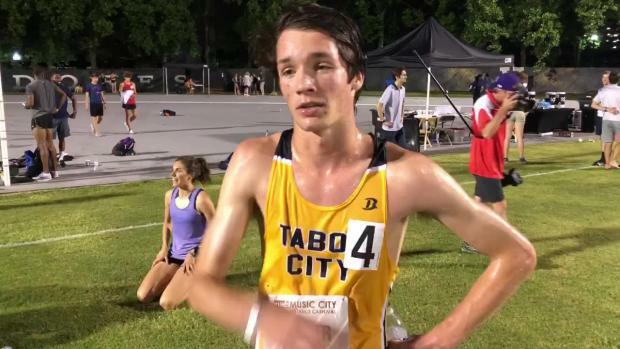 Ponder was coming off a rough day at the NCHSAA 3A State Championships where he had a heartbreaking fall with 70 meters to go in the 4x800 causing him to scratch the remained of his events. To bounce back from such a hard moment in this fashion is truly incredible. Especially with the dominance he showed over the field closing in 57.42 seconds. Ponder's time was just behind Craig Engel's North Carolina Mile State Record of 4:03.96 from the adidas Dream Mile in 2012. Taking 4th in the race was Ponder's teammate Michael Moerk, he clocked a big PR of 4:13.63 for the full Mile, which is the 29th best outdoor 1600 conversion in State History. The future for Ponder's season is still unknown. 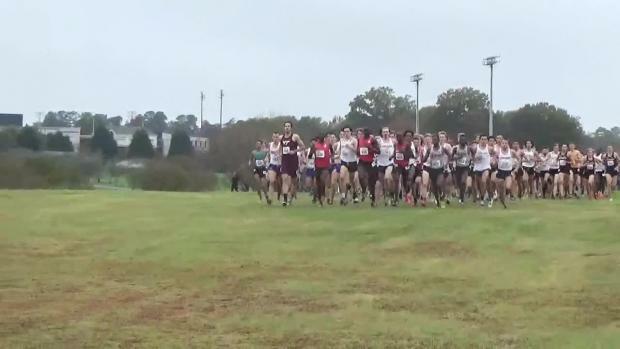 New Balance Outdoor Nationals would likely be his next race if he and his coach decide to pursue a National Title. Though Ponder's senior year had so many ups and down, it was fantastic to watch him finish it in this fashion. We can't wait to see what this stud can do for Furman the next four years.